William Stafford, Kansas’ best-known poet, was born in Hutchinson in 1914. He was a student at the University of Kansas, majoring in English and economics (the latter because of the influence of John Ise, author of Sod and Stubble). He also attended the University of Wisconsin and the University of Iowa, where he received a Ph.D. in English. 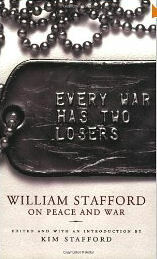 A conscientious objector during World War II, Stafford worked for the Civilian Conservation Corps. 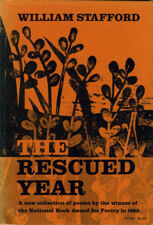 His experiences are chronicled in his book Down in my Heart, first published in 1947. He taught at several high schools and colleges before joining the faculty at Lewis and Clark College in Portland, Oregon, in 1948. He lived near Portland, in Lake Oswego, until his death. 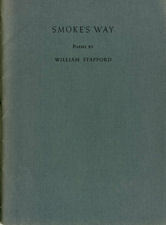 His first book of poems, West of Your City, was published in 1960, when Stafford was forty-six years old. That was followed by Traveling Through the Dark (1962), winner of the National Book Award; The Rescued Year (1966); Allegiances (1970); Someday Maybe (1973); Stories That Could Be True (1977), which also collects each of the previous volumes; A Glass Face in the Rain (1985); An Oregon Message (1987); and many small press chapbooks and short collections, among them a volume from Woodley Press, Kansas Poems of William Stafford, edited and with an introduction by Kansas poet Denise Low. Stafford’s two books about writing, both published as part of the Writers on Writing Series from the University of Michigan Press, are Writing the Australian Crawl (1978) and You Must Revise Your Life (1986). 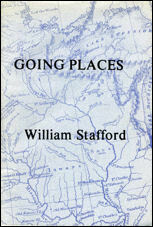 After retiring from Lewis and Clark, Stafford continued to be a prolific writer, traveler, and reader. He managed to visit Kansas every two or three years, and many who stayed alert to cultural calendars in Kansas had a chance to hear him read. Stafford died in 1993. 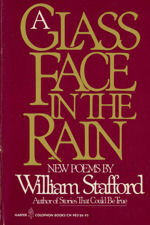 Stafford once said that he wrote his poetry by letting the poem become what it will. This is a good way to read Stafford’s poetry, too. 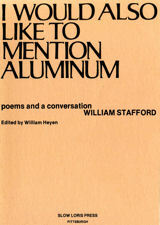 Stafford has a genuine humility about words and language, and his poems reflect his willingness to be directed by words, the language suggesting what will happen next. Stafford’s poems unfold slowly and contain surprises, both for him and for the reader. 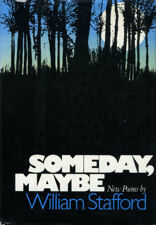 Many of the poems start with a “suppose,” as in “Key of C—An Interlude for Marvin”: “Sometime nothing has happened. We are home/ at the beginning of summer. Somebody begin/ to breathe chords on a harmonica.” The poem moves on through a couple of speculations the characters have about their futures, but with a surprise for the reader: after Tom says his wife and child will die in a fire when the child is three, Mary says she will be that wife. Steve realizes he’ll be alone. The “I” of the poem (not necessarily Stafford) will “live carefully, and a long time,” but why? To tell how it all came true. The Marvin of the poem is probably the poet Marvin Bell, with whom Stafford corresponded for years, trading poems. For Stafford, though, and for the reader, the poem shows us an idea. How the past becomes the future, and how the future is the past. The final surprise of the poem, though, is in its quiet meaning, both obvious and subtle: the truth is. The truth is, at the same time, what is and what might be. 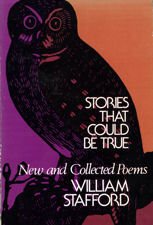 Note that one of Stafford’s collections is titled Stories That Could Be True. Over and over in these poems, Stafford sneaks up on the truth, both by telling us what might be, and telling us what is. Much of what is, for Kansans and for Stafford, is physical, is part of the natural world. 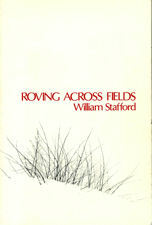 And Stafford’s poetry is very concrete, full of things observed closely and given life. In poem after poem, “the biggest clouds pass/ dragging their shadows,” and “a fence wire hums for whatever there is,” and “all the sage flashes at once,” and even “the flattened grass” makes a gesture. 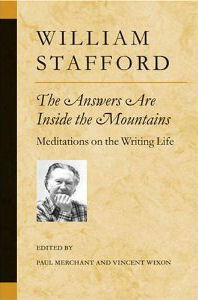 For Stafford, as for the Native American, the world is alive, sentient, full of meaning. Stafford’s job, like ours, is to listen, to observe, to be quiet enough to let the world happen to us, so that we might have its gifts. This is a good way to read Stafford’s poetry: open up your senses first, immerse yourself in what is physically happening—because something always is—in the poems. Think later, and realize that nobody has all the answers. Look, for example, at “At the Breaks Near the River.” After a descriptive opening (typical of Stafford’s poetry) Stafford recalls his father “sifting his/ fingers in that loose ground of the Indian/ campsite.” His father does not claim to know everything. Neither does Stafford. But both want to be more aware, and want all of us to be more aware, “to know everything.” How do we come to know? By realizing that the whole world is “alive,/ waving together.” [CHECK THIS QUOTE]. Just as you have to enter into nature to understand what nature says, you have to enter into Stafford’s poetry, not conquering it like some nineteenth-century pioneer, but living with it. Stafford shows us how. He promotes two Kansas virtues: humility and humor. Humility does not mean lack of pride. Note how Stafford starts his poem “One Home”: “Mine was a Midwestern Home—you can keep your world.” Instead, the humility is belief that other powers are stronger than you. The humility is acknowledgement that you cannot live by yourself. The humility is in the recognition that everything is important. And Stafford’s humor is not in jokes. He does not create guffaws of laughter. His is a quiet humor. Sometimes it is self-deprecating, as in “American Gothic”: “If we see better through tiny, / grim glasses, we like to wear/ tiny, grim glasses.” Sometimes it is the whimsical speculation in a poem like “All the Time”: “What I like are visiting tribesmen who think/ a clock is a big pie or cake, and those/ little sparrows that sing as they ride the minute/ hand, and those few open-faced citizens/ who wave back their arms all directions at friends.” Sometimes it is in the juxtaposition of images, as in “Time Capsule”: after a comment on the seriousness of World War II, the national and international events of the time, he ends the poem with the insightful, but odd lines, “Back on the farm it was calm,/ and pigs at the greasy newspapers.” And sometimes it is in the mock seriousness of an event, as in “An Early Massacre,” in which some small boys hijack some dolls and a wagon into the bushes and act out their disappointment in a party; Stafford reports it all in much the same voice he might use for describing the massacre of a pioneer wagon train. 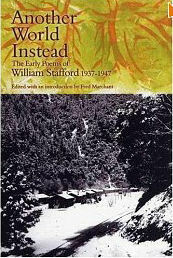 Although Stafford lived for years in Oregon, he returned time and again in his work to the place where he was born and raised. As he says in the back of Kansas Poems, he still considers himself “an osage orange, hedgewood Kansan.” Stafford explores Kansas in a different way from many other poets. Along with his comments on the state, our history and people, he simply shows us a Kansan’s view of the world. His first book declared this stance in its title: West of Your City. He doesn’t care for showiness, instead finding strength and wisdom in common, sturdy things like grass, willows, water, clouds, rocks. He sees the beauty of what is. He is humble about himself and about the land, but unafraid to make assertions, to humbly declare his allegiance to Kansas. But his allegiance, at its most basic, is not to a physical place, but to an attitude about place. He is literally exploring the spirit of place, the metaphysics of Kansas. in their old ways, fresh and strong. for a minute, before the salt came back. when we walked our town. think what they did to us Mound Builders." He glanced at Mother's braids in the sun. "Do right today, Kids. Do right today." Arapaho, Kansa, Cheyenne, Cheyenne, Cheyenne. Be true. You are. Adios. 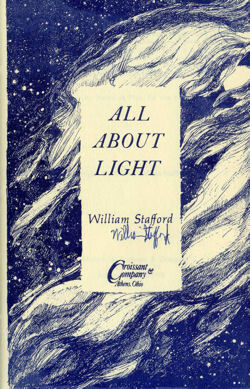 William Stafford's poetry shows profound understanding of spatial and time dimensions of our cosmic existence. He teaches us how we are composed of earth, air, fire, and water. 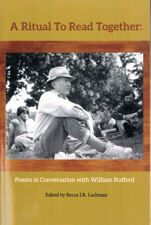 Friends of William Stafford web page. 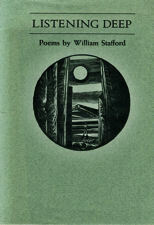 Three of Stafford’s Kansas poems at the Kansas Heritage website. An essay, “William Stafford: Genius in Camouflage,” by the former Poet Laureate of KS, Jonathan Holden. Short film by Kim Stafford about William Stafford's "Fifteen." 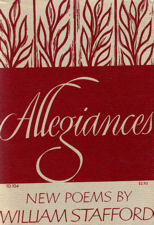 A review and ordering information for the collection Kansas Poems of William Stafford, edited by Denise Low, on the Woodley Press website. This page features a long excerpt from the introduction, written by Denise Low, to the collection Kansas Poems of William Stafford, edited by Denise Low and published by Woodley Press in Topeka. 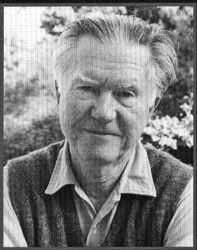 William Stafford on the Modern American Poetry website. Poems, interview, and bibliography. 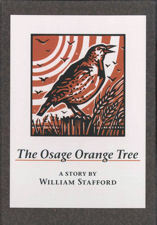 Information about the William Stafford collection held at the Axe library, Pittsburg State University, in Pittsburg, Kansas. Homepage features a sketch of Stafford made in 1980 by Ted Watts. Review of expanded edition of Kansas Poems of William Stafford, edited by Denise Low, from Kansas Alumni. 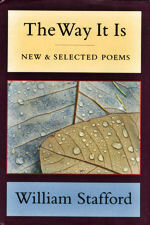 Review by Tim Barnes of expanded edition of Kansas Poems of William Stafford, edited by Denise Low, from Friends of William Stafford Newsletter. 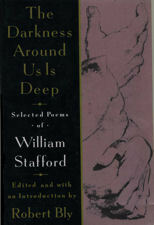 BBC Radio coverage of William Stafford. Letter from William Stafford to Ted Kooser (with permission), 16 February, 1978. Letter from William Stafford to Ted Kooser (with permission), 12 May 1981.